Today during the market trading opening Franc reached new minimum. The market rebounded from it and now the pair is under correction. 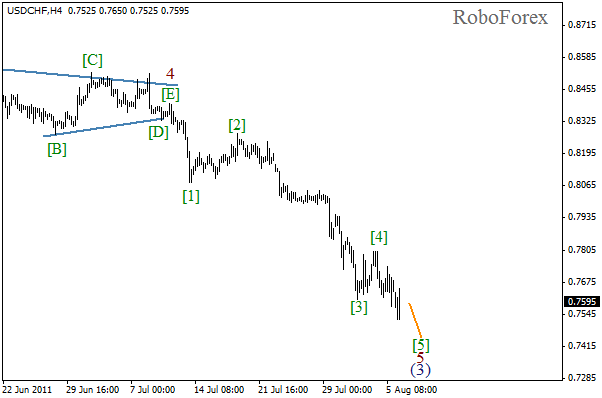 Most likely, wave  of 5 will be completed today and wave (4) will start. 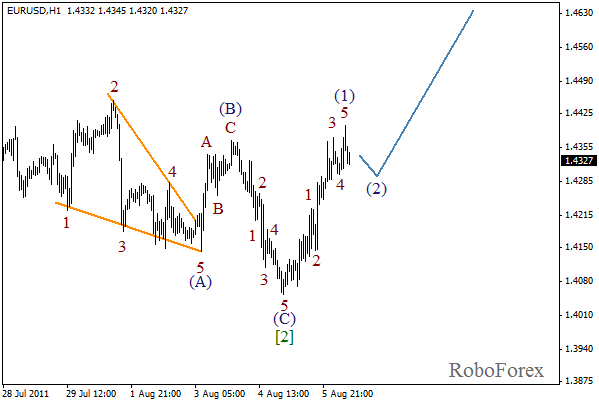 We may assume that wave  is taking the form of diagonal triangle pattern with the second wave being formed inside it. Local correction may last for few more hours, but after it is finished, the third wave will start. Most likely, the range of this movement will be narrower than that of wave (1). 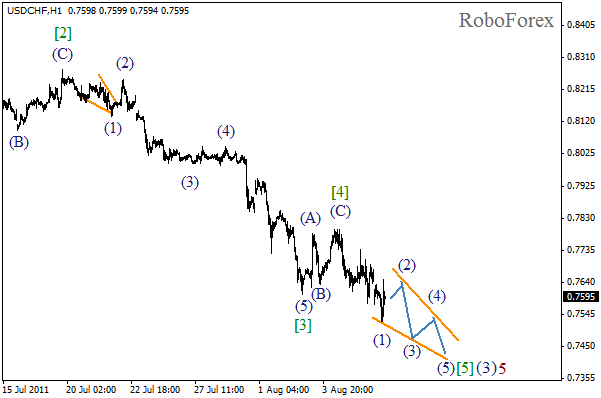 After wave  had been completed in the form of zigzag pattern, initial bullish impulse was formed. Local correction may take place, and after it is finished the price may grow significantly in wave (3). At the H1 chart we can see more detailed markings. 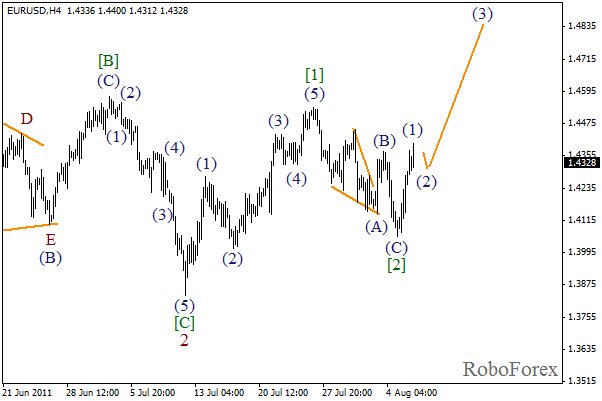 Impulse in wave (1) has been already completed and now we can see the second wave forming. I don’t think that this correction will become a deep and long one. There is a possibility that wave the third will start in the second part of the day.